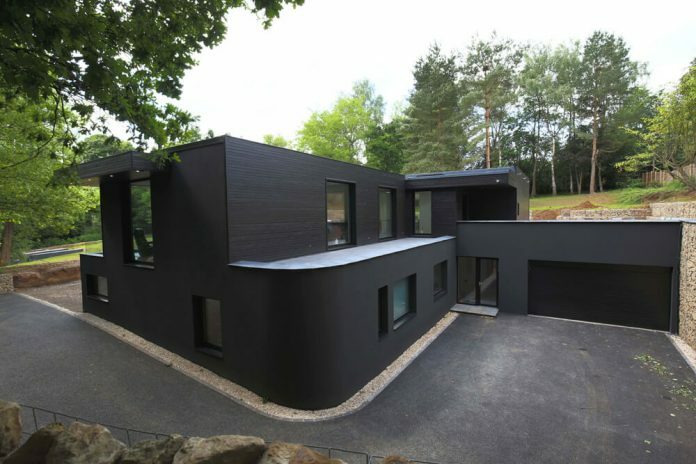 A newly built 5-bedroom detached home in Surrey Hills has received a Guildford Design Award for its “environmentally sustainable” design which included the installation of EcoTherm Eco-Torch. Nestled unobtrusively within the hills and wild meadows of Surrey on a two-acre plot, Skyridge blends a contemporary aesthetic with a rural landscape. Its external finishes, such as timber cladding, dark render, and local sandstone are in keeping with this. 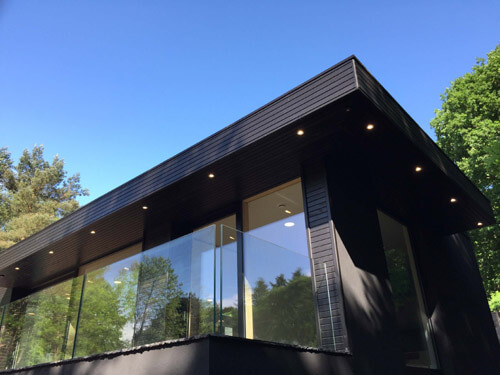 To insulate the flat roof, the award-winning home, built by LEATHWAITE, uses EcoTherm Eco-Torch which is a rigid polyisocyanurate (PIR) insulation core faced with coated glass tissue on one side and bituminised glass fibre tissue with polypropylene fleece on the other. It can achieve thermal conductivities as low as 0.024 W/mK. The flat roof board is suitable for use with any hot applied roofing system or adhered single ply system on metal, timber or concrete decks and withstands the application of hot bitumen and asphalt to the surface up to 230°C. On the Skyridge project two layers of Eco-Torch were installed on the flat roof (120 mm + 80 mm) which achieved a U-value of 0.11 W/m2.K and contributed to an impressive ‘A-96’ Energy Efficiency Rating for the new home. 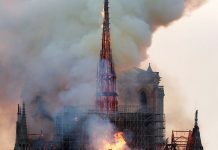 Waterproofing for the roof was achieved with a vapour control barrier and single ply membrane applied directly onto the Eco-Torch. 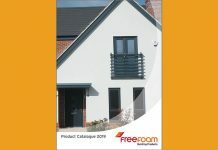 As with all EcoTherm products, the boards have a fibre free core which is manufactured with a blowing agent with zero Ozone Depletion Potential, (ODP) and a low Global Warming Potential (GWP). EcoTherm products are well suited for both new build applications and for upgrading the thermal performance of existing buildings as the insulation is lightweight, easy to install, and can help to meet building regulation requirements. 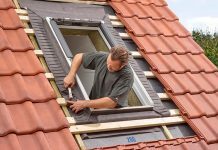 The insulation boards are available in a variety of standard thicknesses including 50 mm, 75 mm, 90 mm, 115 mm and 140 mm with dimensions that are sized to co-ordinate with brick and block sizes and heights. For further information click here or tel. 01268 591155. Next articleAre You Ready For A Smart Future?